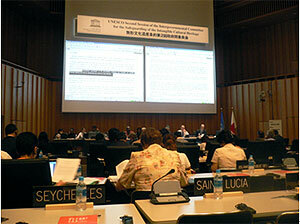 The Commission on Intangible Cultural Heritage is a newly established commission of the International Congress of Anthropological and Ethnological Sciences (ICAES). 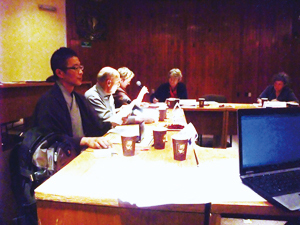 The Commission met for the first time at the Centro Regional de Investigaciones Multidisciplinarias in the City of Cuernavaca on February 25 and 26, 2012. 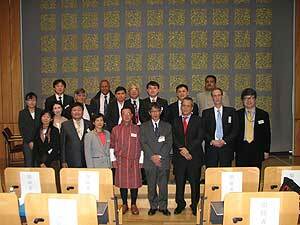 The Commission was Shigeyuki Miyata of the Department of Intangible Cultural Heritage. 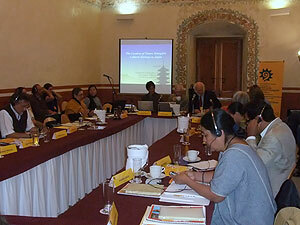 At the meeting, attendees from participating countries presented and discussed their contributions to safeguarding intangible cultural heritage as experts. The representative from Japan described the Guideline for Visual Documentation of Intangible Folk Cultural Properties drafted by the Research Institute and proposed the drafting of guidelines for the safeguarding of intangible cultural heritage from an expert standpoint. 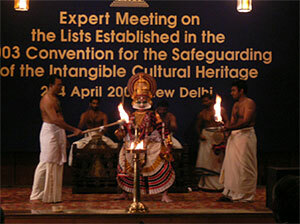 Distinct from approaches by government bodies, approaches involving experts are crucial, given the increasing need for contributions by experts in relation to putting the Convention of the Safeguarding of the Intangible Cultural Heritage into practice. 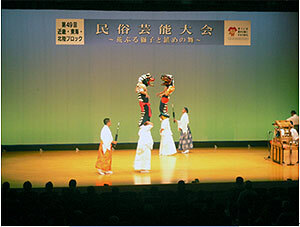 The Department of Intangible Cultural Heritage plans to actively participate in such meetings and publicize Japan’s experience as an expert in this field. 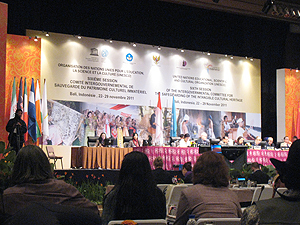 The 6th session of Intergovernmental Committee for the Safeguarding of the Intangible Cultural Heritage was held in the Nusa Dua area of Bali, Indonesia from November 22 to 29, 2011 at the Bali International Convention Centre. 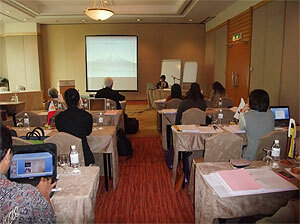 Representing the Institute, MIYATA Shigeyuki and IMAISHI Migiwa from the Department of Intangible Cultural Heritage and FUTAGAMI Yoko from the Department of Art Research, Archives and Information Systems participated in the conference. 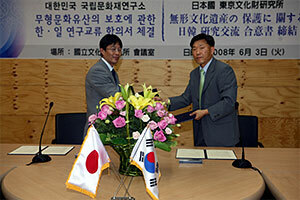 Six files nominated by Japan for the Representative List were evaluated. 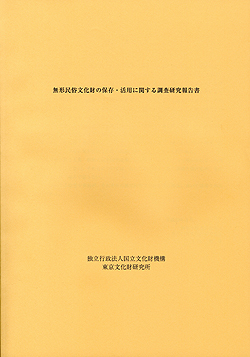 As a result, 2 nominated elements, “Mibu no Hana Taue, ritual of transplanting rice in Mibu, Hiroshima” and “Sada Shin Noh, sacred dancing at Sada shrine, Shimane,” were inscribed, and 4 nominated files, including “Hon-minoshi, papermaking in the Mino region of Gifu Prefecture,” were “referred” back to the submitting state. “Referring” a nomination is a system adopted by this session of the Committee in order to ask Submitting States for additional information, if necessary, to better recommend whether to inscribe the element or not. 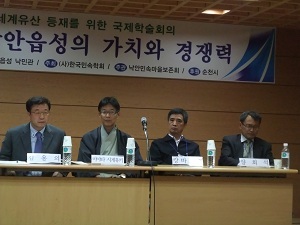 Since the system is brand new, lengthy debate was held over the appropriateness of each “referral.” Topics that had been discussed starting last year, such as limits on the number of nominations considered, limits on the number of nominations made by each State, and the appropriateness of involving experts from the Consultative Body, led to a greater rift in opinions among Committee Members than was apparent last year. 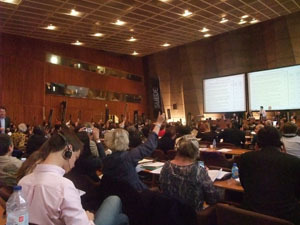 Several topics were even decided by a majority vote, which had never occurred before in a session. 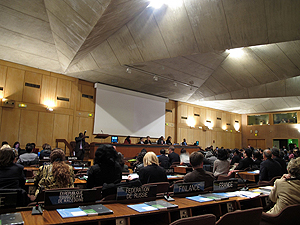 Although in full force for less than 3 years, the Convention for the Safeguarding of the Intangible Cultural Heritage appears to have reached a turning point. 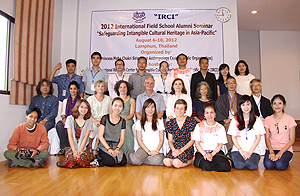 This issue is of considerable interest domestically and, given the desire to encourage international exchanges in the area of Intangible Cultural Heritage, these trends must be carefully followed in the future.